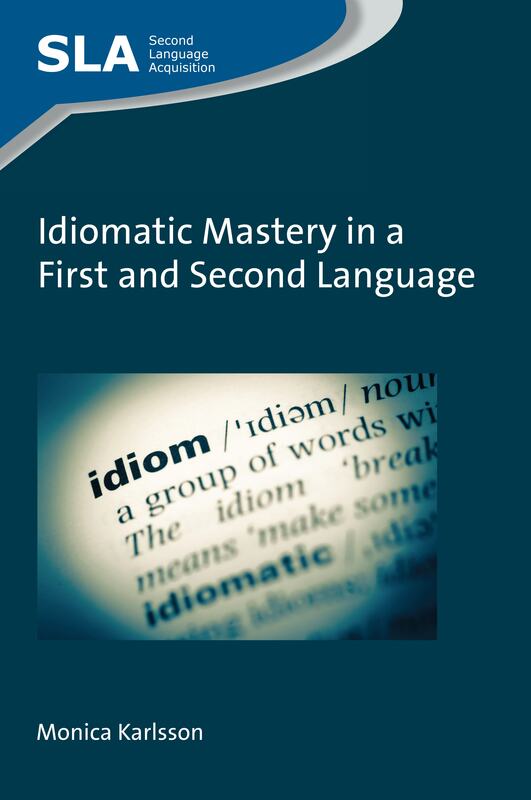 This month we published Idiomatic Mastery in a First and Second Language by Monica Karlsson. In this post the author explains the inspiration behind the book and talks us through the thinking behind each chapter. Some years ago I was teaching a proficiency class, when my student teachers and I came across some idiomatic expressions in a text that one of my students had brought with her. Her intention was to use the text in one of her own teaching sessions as it dealt with a topic relevant to a particular lesson, but she had problems understanding a few sections of it. Quite a long discussion ensued which, to begin with, was concerned with meaning only, but, when meaning had been resolved, came to be more about how exciting it would be to deal with such vocabulary on a more regular basis. This discussion with my students was the very first step in an extended process that has now resulted in the book Idiomatic Mastery in a First and Second Language. Setting to work, the first thing I did was to explore differences between comprehension in a first and second language, so that I would get a better understanding of problems related to second language acquisition specifically. In this respect, the research literature clearly shows that there are four main facilitators: age, context, transparency and frequency, and so the second chapter came to deal with these basic concepts, as well as exploring L1 and L2 quantitative and qualitative differences. Next I wanted to investigate how I could teach these kinds of items in a way that would promote both comprehension and retention, as well as give an understanding of how my students could approach these kinds of expressions in their own L2 classrooms in the future. Chapter 3 is therefore concerned with multimodal and visualization techniques that may help L2 learners of different ages and proficiency levels. One of the idioms found while searching for suitable scenes from various TV shows to be incorporated in the multimodal tests implemented in the third chapter was paint the town beige. During testing, I realized that this type of manipulated idiom warranted its own chapter, as it caused students to experience quite a few additional problems. The fifth chapter hence deals only with L2 learners’ comprehension of these twisted relatives. While testing groups of informants, I also noticed that even if many of the expressions were understood and remembered with the help of multimodal and visualization techniques, many more idioms regrettably remained very difficult to grasp, and so, to enhance learning further, it also felt important to deal with persisting ignorance and various types of misinterpretations in a structured way. Chapter 4 is thus dedicated entirely to these tokens. Presenting my results on L1 and L2 idiom comprehension to a group of other researchers, the last part of a discussion with them came to be about idiom production, at which point I felt I had more to learn. Reading up on the research literature, I found that while sentence completion tasks have been comparatively frequently researched, very little has been done in connection with free composition writing. The sixth chapter therefore focuses entirely on an analysis of L2 learners’ use of idiomatic expressions when writing essays, often considered one of the last frontiers of L2 mastery. Lastly, it is usually said that it takes a village to raise a child. Based on the above, I now realize that the same can be said about writing a book, during the process of which comments, ideas and input from students, colleagues and friends certainly help decide what would be important parts of a book on a specific topic. I sincerely hope that you will find this book as interesting to read as I found it interesting to write.